How to draw a map? 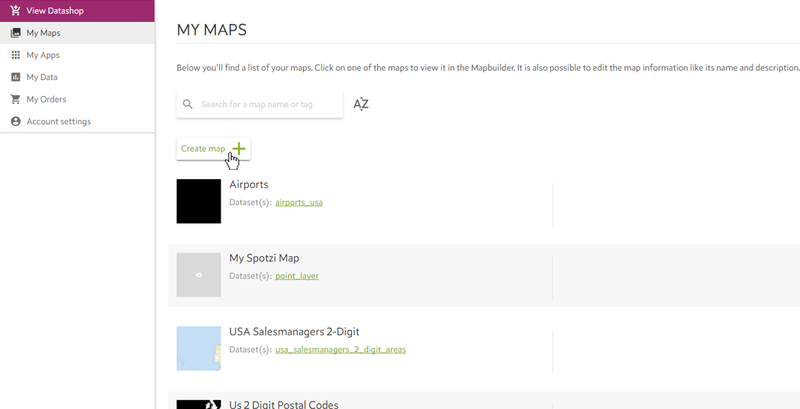 Did you know that Spotzi also has a datashop with premium and free maps/data that is instantly added to your Mapbuilder account? 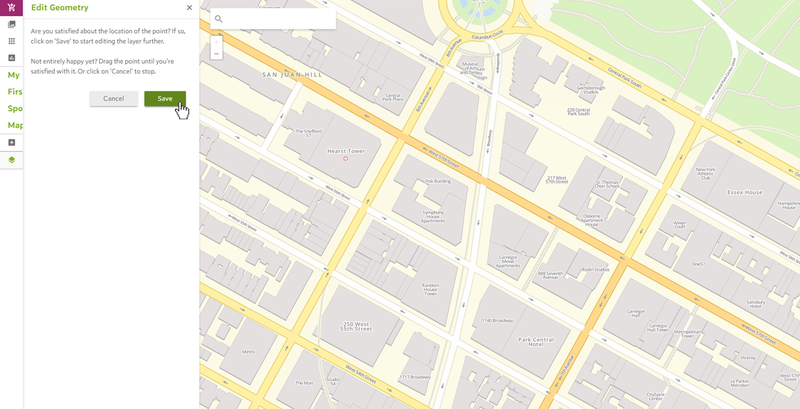 Just visit our Datashop and select one of our maps. 1. 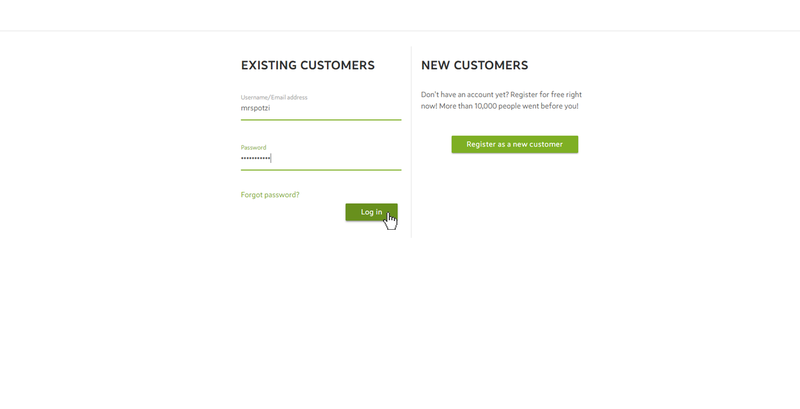 Login to your Mapbuilder account or register. 2. 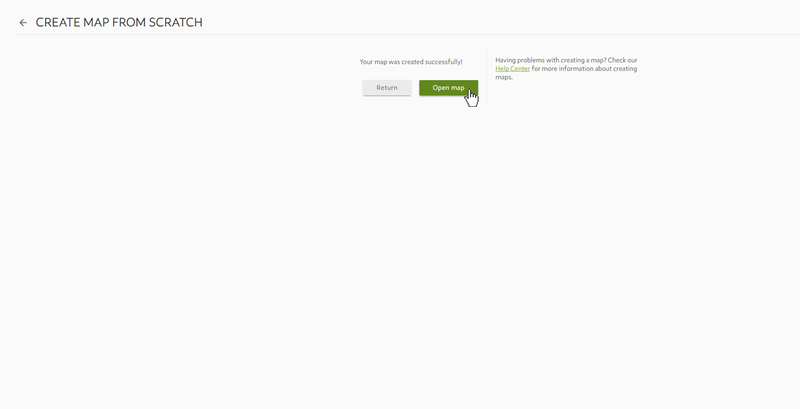 Open your My Maps and press the CREATE MAP button. 1. 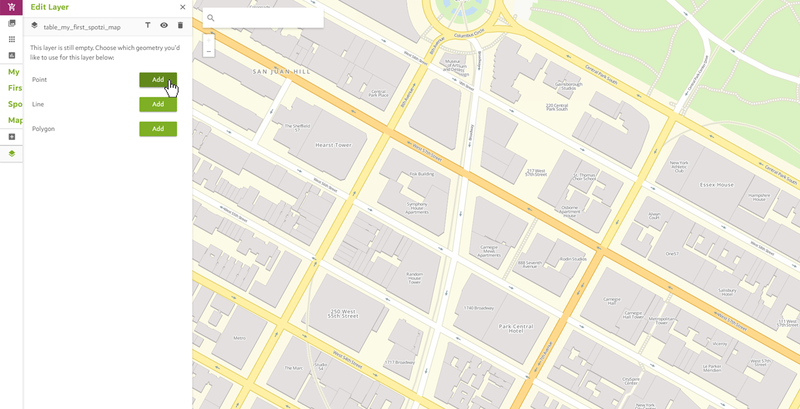 If you want to create a map from scratch and draw a point, line or polygon yourself. 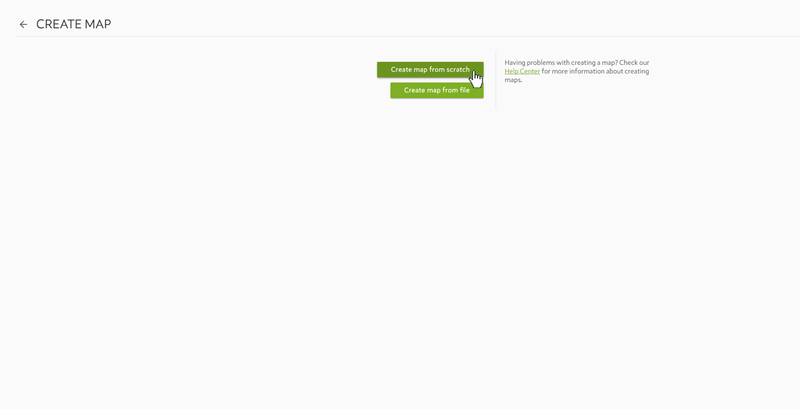 Click the CREATE MAP FROM SCRATCH button. 2. Name your new map and dataset. Click CREATE MAP to confirm. 3. After a few seconds your new map and dataset are created. You will receive a confirmation. 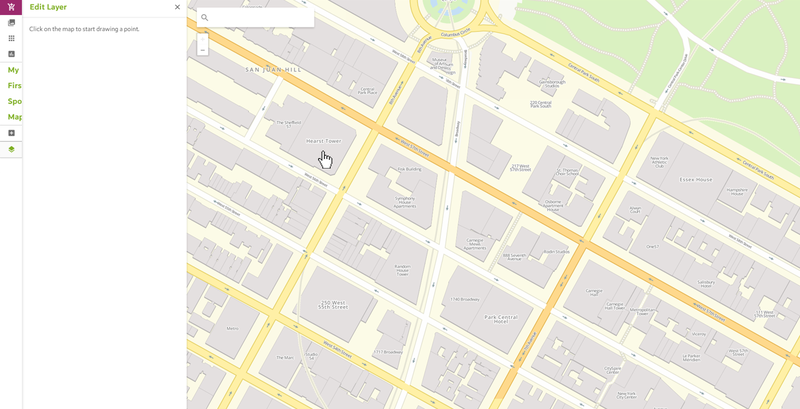 Press the OPEN MAP button to start adding a point, line or polygon. 4. Congratulations! You have created your very own map. 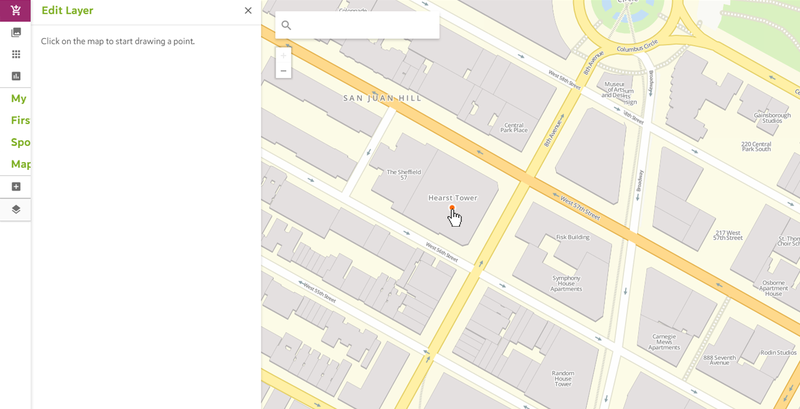 We have created a brand new map layer for you, where you can now add a point, line or polygon. Be aware that you can only have one type per layer, so if you have drawn a point, you have to create another layer to draw a polygon. 1. Now you have created a new map. It is time to add a map feature to your map (point, line or polygon). Once you have opened the map, click your new layer. Your map doesn’t contain any geometry yet. 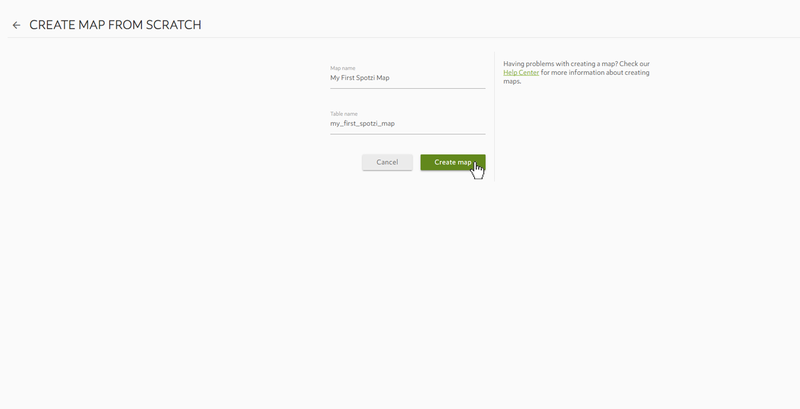 That’s why the Spotzi Mapbuilder will give you a notification to add a point, line or polygon to your map. Click the map feature you want to add. 2. Now click a location on the map. 3. After you clicked a certain location on the map, you can confirm you location by clicking the SAVE button. Not completely satisfied? In that case you can drag and drop your point, line or polygon to your beloved location. 4. Now you have successfully added a map feature to your map. Now you can choose to add more map features to your map or add extra data to the map. Keep in mind that you can only pick one feature type per layer. That means that if you have created a new map layer with points, you can only add additional points to this layer. If you want to add lines or polygons you have to create another layer. Please read more about importing data in our documentation about importing location data.